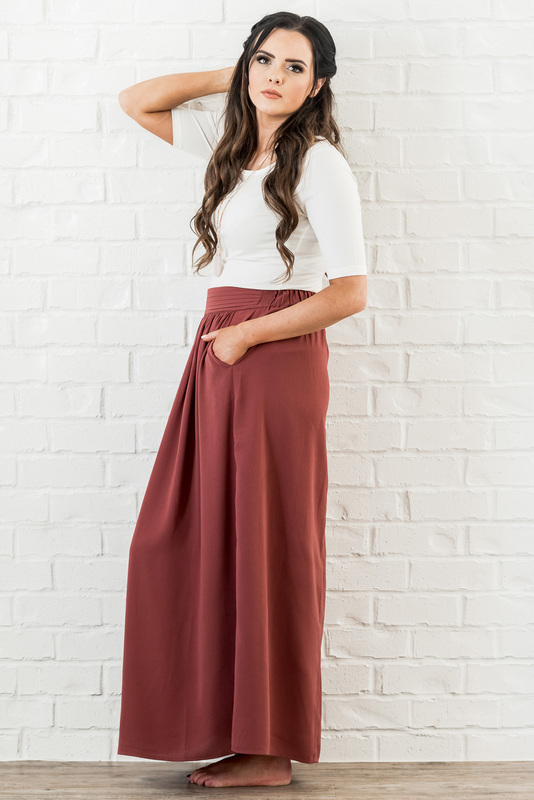 This full-length maxi skirt is so pretty & comfortable, you'll be looking for reasons to slip it on! 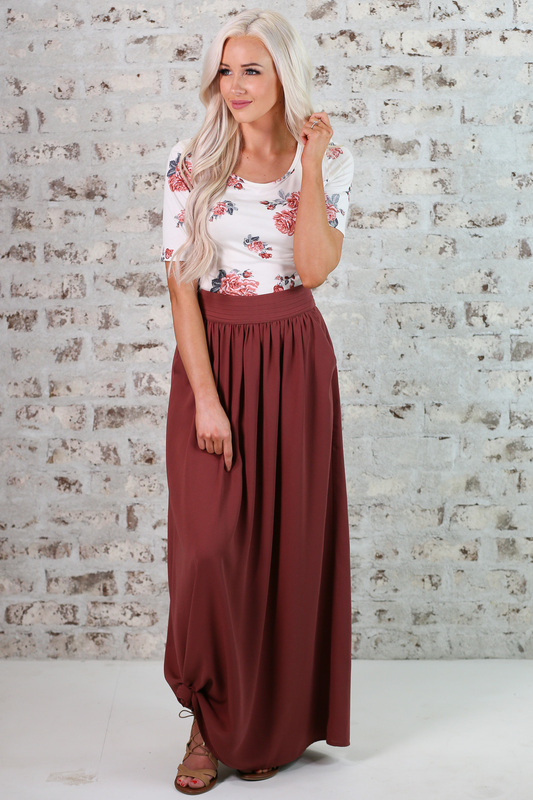 The burnt mauve color is perfect for any season. The gathered waist is set off by a pretty detailed waistband. It's fully lined and even has side pockets! Worn here with our Round Neck Top in Off-White, Scoop Neck Top in Ivory & Mauve Floral and our Scoop Neck Top in Olive Floral. 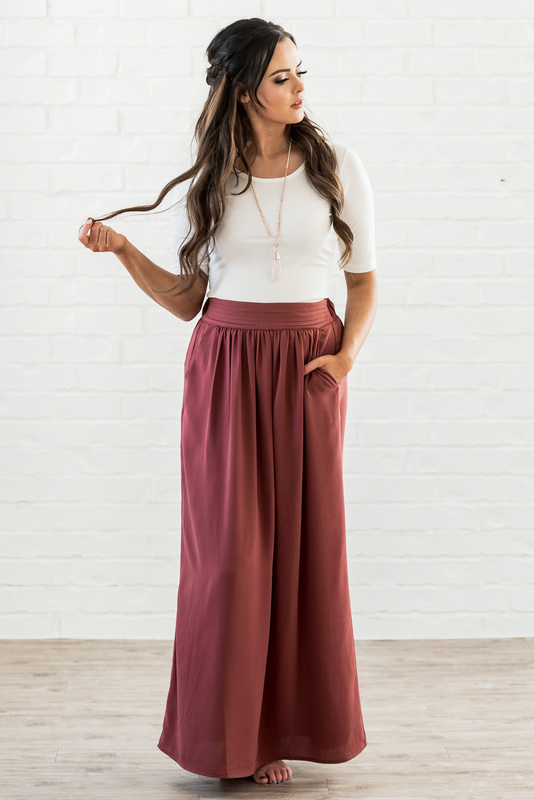 Length: XS-S 41", M-L 42.5", XL-2XL 44"